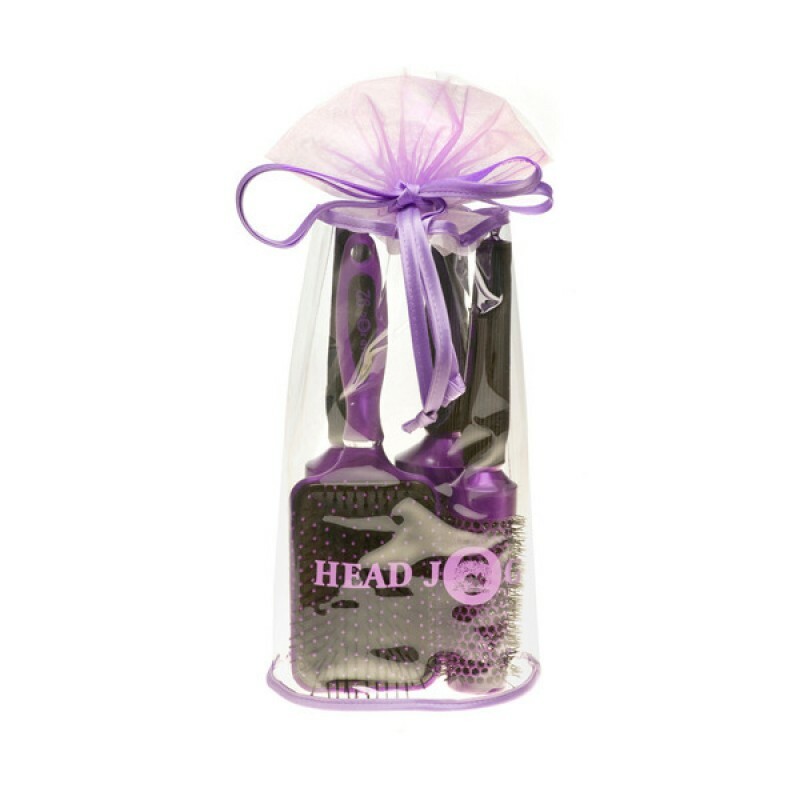 The Head jog Purple ceramic brush set. Contains all 4 of the purple brush range in a pretty carry case. 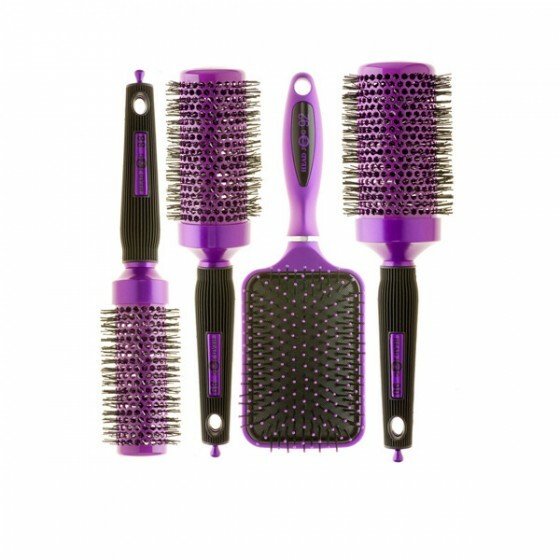 Ceramic coated barrel means smoother shinier hair without static.